Vote forDandenong Ranges, VICTop Regional Destinations Which are Australia's must-visit destinations? You help us decide. One of the greater Melbourne region's true natural gems, the under-appreciated Dandenong Ranges should be a staple on every visitor to Victoria's itinerary – a lush range featuring a blend of dense Aussie forest, lovely walking tracks, unique attractions, and a handful of small and charming towns dotted with quaint shops make a visit here a diverse and relaxing experience. A mere 30 – 45 minute drive from Melbourne itself is all it takes to get to the ranges, and the Dandenongs are a great way to get out of the city and spend a day out immersed in nature with friends or family. There are multiple things to do while in the Dandenongs including a huge range of walks that will give you a close-up view of giant Mountain Ash forests, waterfalls, picnic grounds and secret historical areas that remain hidden out in the bush with lookouts that provide panoramic views back out to Melbourne and all the countryside in between. One of the most acclaimed experiences within the Dandenong Ranges is the iconic “Puffing Billy” steam train ride – Australia's most famous narrow-gauge railway – that winds leisurely and scenically through the mountainside while providing an enchanting, spectacular viewing experience of both the pristine wilderness and the native wildlife that populate the area including kookaburras, bellbirds and more. Other essential highlights that are must-sees in the region to be experienced along the way include the beauty of Sherbrooke Forest and browsing the quaint mountain village of Sassafras, along with the traditional gardens within the Dandenong Ranges National Park. Much of the charm of a visit to the Dandenongs comes from visiting each of its distinct little towns that can be reached via fairly short drives in between - or alternatively as stops along the Puffing Billy Railway. There are around 20 of these townships in the Dandenongs, with the likes of Emerald (draped in enough greenery befitting its name), Sassafras (boutique shops including a truly excellent and comprehensive tea shop), and Olinda (excellent cafes and stores) particular standouts. Add in numerous opportunities to immerse yourself amongst the greenery, sweets and other produce to sample, and wonderful gardens and lookout points to soak in, and a trip to the Dandenongs can happily last anywhere from half a day to several days. Looking to pay a visit to the Dandenong Ranges but not sure what to do? Here are a few of its most essential experiences. 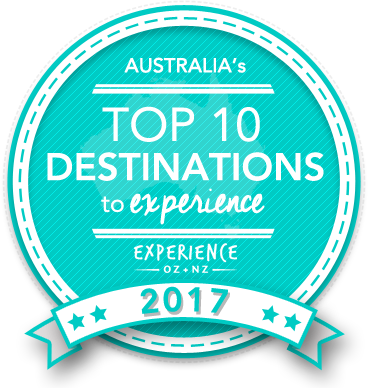 Are the Dandenong Ranges Australia's Top Regional Destination to Experience for 2017? Vote now for the chance to WIN an epic trip to one of Australia's top destinations!